Even Vancouver wasn’t safe from the moral panics of the 1950s. 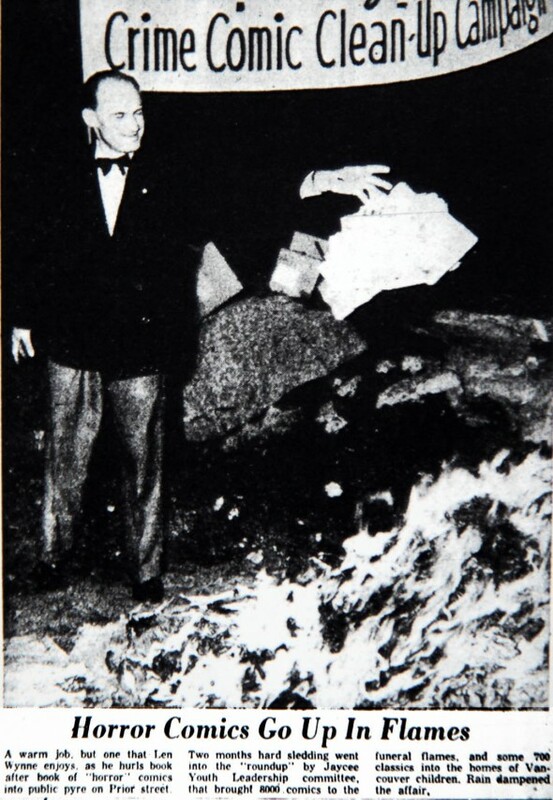 Over 8000 comics were burned at this rally by the Jaycee Youth Leadership committee in 1954. “No significant improvement” in Youth behaviour was observed as a result of this burning, but it was rallies like these that led to the Comics Code of authority and the lack of diversity in western comics up until the 1990s. I love that in true Vancouver fashion, “Rain dampened the affair”.